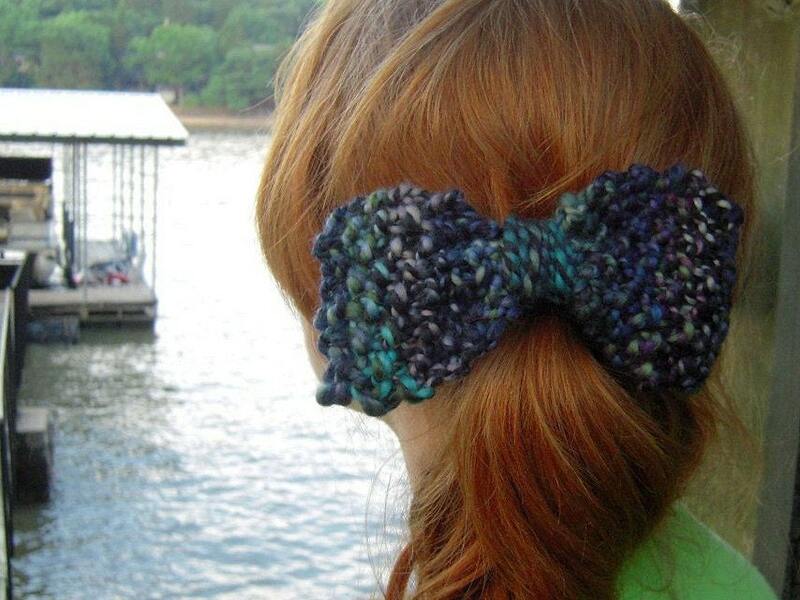 Handspun Knitted Hair Bows pdf knitting pattern...Great way to use up scraps of handspun yarn! 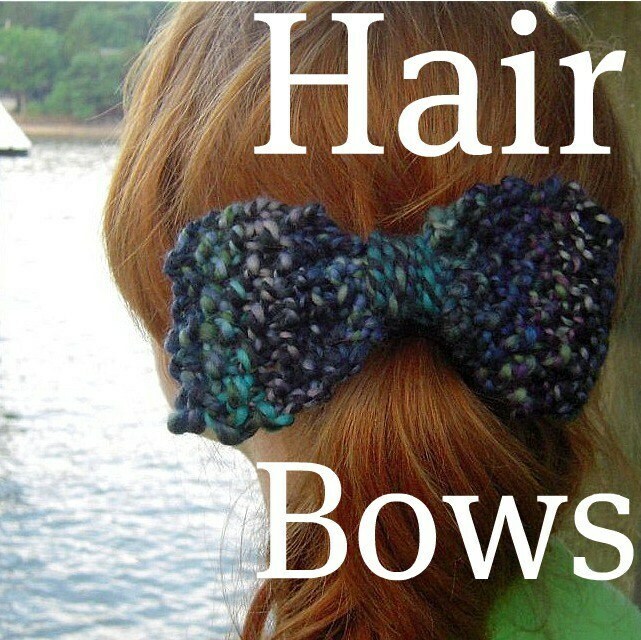 Directions for large and small bows. 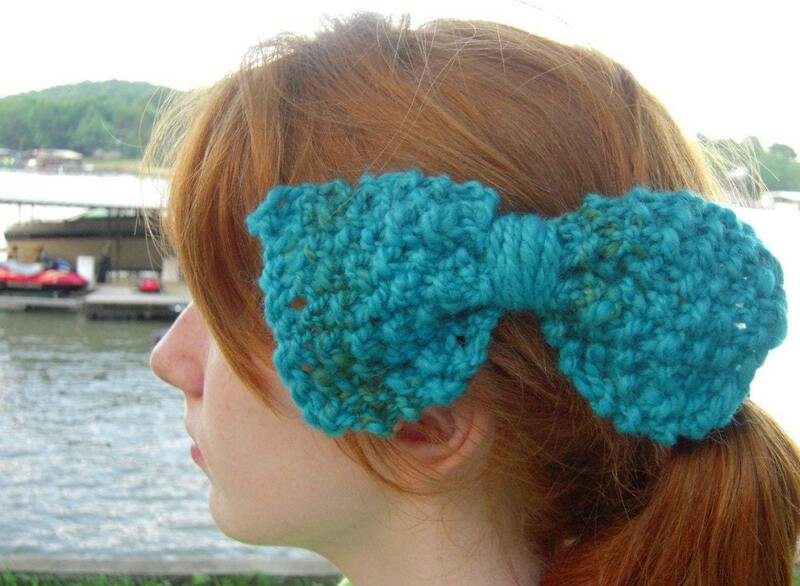 Finished sizes: approx 5.5 X 3 inches for large bow and approx 1.5 X 3 inches for small bow. 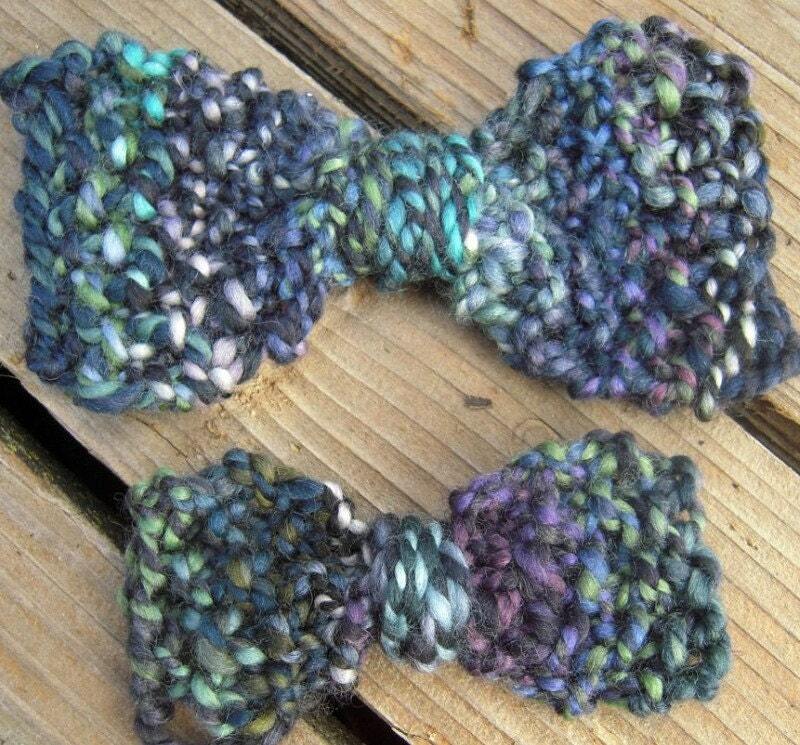 Just think of the things that would look better with a handspun knitted bow on them...children, bags, shoes, purses, teenagers, presents, the list goes on and on! This listing is for the PATTERN ONLY, not finished items. Yarn used in pattern is Treasured Handspun Bulky, available on my etsy shop, but you could use any kind bulky handspun or commercial yarn scraps! The PDF pattern will be available for download once payment is completed.